Pimples always seem to know the worst possible times to pop up. A first date? A big event? Picture day at school? It doesn’t seem to matter. Fear not, though. There is help! Even if you don’t have regular breakouts, knowing how to conceal a pimple can definitely come in handy. It’s better to know how to do it and not need to than it is to need to and not know how. This quick guide will give you all the information you need to know how to conceal a pimple quickly, easily and fairly inexpensively. While the step by step guide to teach you how to conceal a pimple is probably what you’re looking for, I feel it’s important to take a moment or two to talk about the tools you’ll be using to conceal your pimple. First and foremost, you’re going to want a decent foundation brush. A decent concealer brush is a must have, not just for covering pimples but for a lot of makeup looks as well. 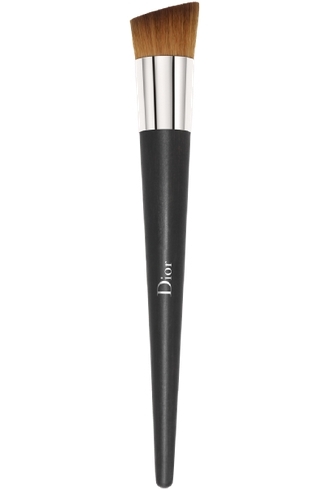 You want a foundation brush that has a point and flat bristles, like the Dior foundation brush in the photo above. Now, a good foundation brush will probably set you back a little bit but it’s well worth the investment. If you don’t have the beauty budget to splurge on the Dior brush or something in a similar price range, look at discount brands. You might not always be able to find name brand quality at an affordable price but you should be able to find something that gets the job done. As for your concealer, you’re going to want a shade that matches your complexion but you’re also going to want one that is infused with an acne fighting ingredient. There are lots of great products out there that conceal and treat pimples at the same time and they’re also available in a fairly broad price range. Whether you go with a more expensive product or stick with cheaper products, it’s important to look for something that offers everything you need. Most common acne treating products feature salicylic acid, a component that is effective for treating pimples but also makes concealing pimples more difficult. salicylic acid makes the skin tacky and makeup doesn’t like sticking to tacky skin. 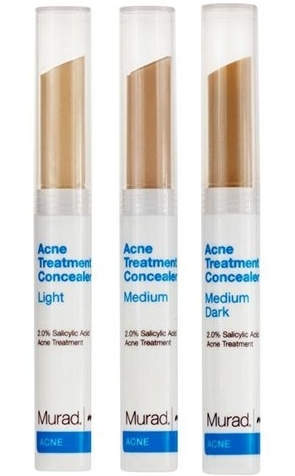 By opting for a concealer that already has an acne fighting ingredient you’ll still be able to cover the pimple while working to heal it at the same time. Finally, let’s talk about the importance of powder. Your powder is going to be instrumental in concealing your pimple so you want to make sure you have some on hand. Any standard powder will do as long as the shade matches your skin. Powder is important because powder will contain either talc or cornstarch. Both of these ingredients ensure the oils in your skin don’t melt your makeup, allowing your cover up job to last much longer. If you don’t have a decent powder, you can often pick them up fairly inexpensively at any drug or department store. Now that we know what kind of tools we’re bee using, it’s time to start talking about how to conceal a pimple. The process I’m about to walk you through is surprisingly easy and will work to conceal most pimples. Let’s get started. Step One: Apply a small amount of concealer or cover up to the tip of your foundation brush. You only need a little bit for now. Step Two: Place the tip of your brush on top of your pimple and twist your brush. The twist is necessary to get the best coverage. By twisting, we’re making sure the concealer really gets into the pimple and covers it evenly. Step Three: Repeat steps one and two until the pimple is completely hidden by concealer. Step Four: Now we’re going to blend. We’re going to start on one side of the pimple and work our way around the outside. Take your fingertip and gently pat at the edges of the concealer, working from the outside edge and blending it into the skin around the pimple. Make sure you pat. 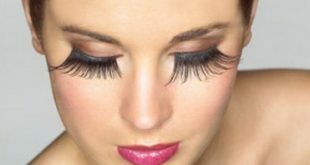 Wiping the concealer will make it uneven and possibly cause streaks. 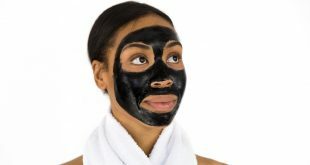 On top of that, wiping can sometimes cause redness in the skin which will make that part of your face stand out which is certainly something we want to avoid. Step Five: With the concealer in place, it’s time for foundation. You’re going to want to apply foundation all over the rest of your face, bringing it up to, but not covering, the pimple. This will give you an even shade over your entire face. Step Six: We’re done with our concealer and foundation which means it’s time for powder. Make sure your fingers and clean and dry before you start. Put a little loose powder on the tip of your finger and pat it on over the concealer you put on in steps two and three. Once again, you’re going to be patting and not wiping or sweeping. Step Seven: Finish up by applying a small amount of loose powder to the rest of your face to make sure your face still has an even shade all over it. A few final tips before we wrap this up. Always use care when putting any kind of makeup product over a pimple. You want to make sure you’re cautious and use a light touch. If you use too much pressure you may wind up causing the pimple to leave a scar. That’s obviously something you don’t want. Finally, as always, prevention is essential. While you can certainly conceal pimples, do your best to take care of your skin so pimples aren’t as likely to pop up in the first place.